Total: $250 ($300 value). 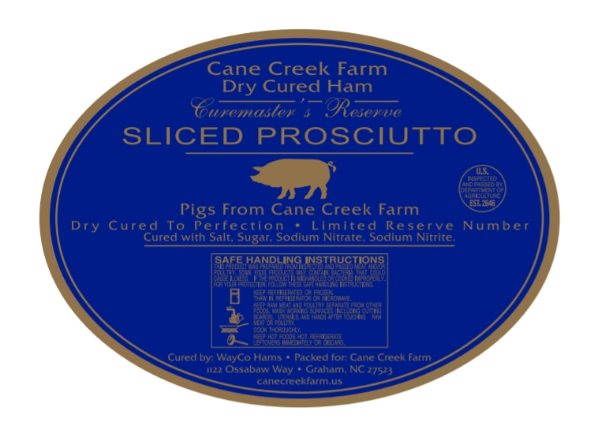 Pick up is at the Carrboro Farmers’ Market or the Farm in Saxapahaw. Shipping is $60-150. Please email us to inquire about shipping options canecreekfarm@gmail.com. The Hog- The Ossabaw produces some of the most flavorful pork products in the world. The meat is a dark red and the fat is soft, creamy, and high in Omega-3’s. Many call the Ossabaw the walking olive tree. These animals take 18 months to raise correctly, at least twice as long as other pastured hogs. We then hang their hams for another 18 months, resulting in wonderful prosciutto (and some seriously SLOW food). The History- The Ossabaw Island pig came to America when Spanish settlers dropped off their beloved Iberian Hog on the barrier islands of North America. 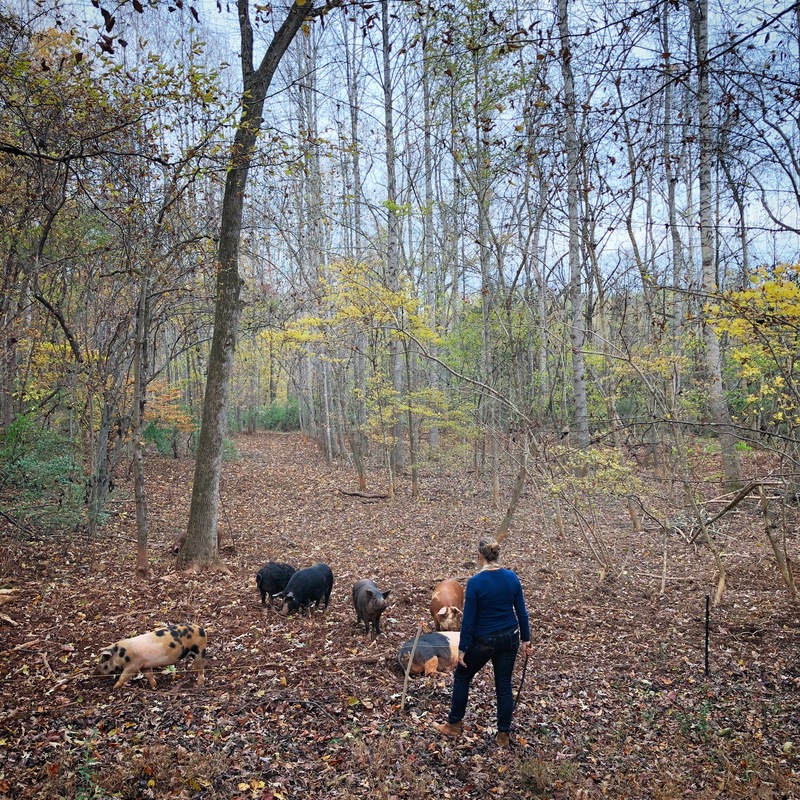 The pigs turned wild and successfully adapted to their islands, in this case, Ossabaw Island, GA. Cane Creek was one of a handful of farms to begin domesticating this breed again, and we now have one of the largest herds anywhere.